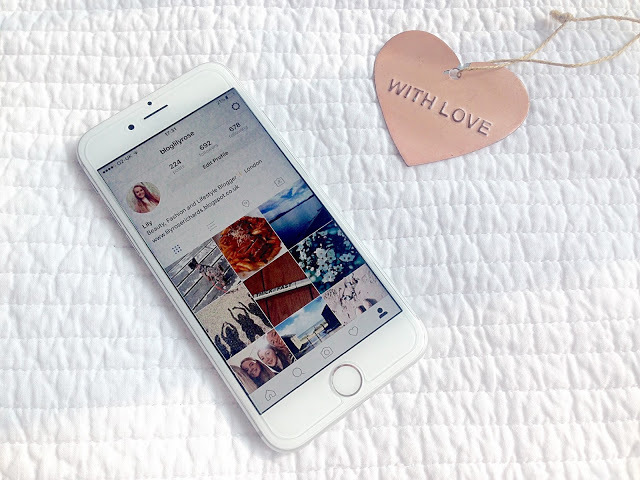 In this post I have decided to share with you 8 apps that are amazing and make me very 'appy! These are 8 apps that I use on a daily basis and I think that you will love too. I love Instagram, Snapchat, Twitter etc. but these are a few other apps that are app'mazing (sorry for the puns...)! Some of these apps are fun, others very helpful and some addictive! Tell me in the comments if you use any of these apps or if you have any other suggestions because I love to hear new recommendations...so here we go! This app for Londoners or anyone travelling to London! If you are ever struggling for somewhere to go or something to do in London then this is the app for you! Fever allows you to search and join in events taking place all across London including festivals, gigs, cultural events, restaurant offers, bars, fitness events and much more! I love to use this to find out about new things going on that my friends and I can do! I'm pretty sure all of you have heard of this app because it's been everywhere; the news, the media and everyone is talking about it! I'm not obsessed and addicted to it (not yet anyway) but I love catching Pokémon when I'm out and about (on my way to work etc.) I used to love collecting Pokémon cards in primary school and it reminds me on them childhood days. I am only at Level 10 at the moment and yet to take on a gym, but I'm happy with that so far because from the picture above you can see that I don't have many Pokémon or Pokestops near where I live (it's so sad)! I love gifs! They appear in lots of chats on my phone and I love using them in tweets. I think it's amazing that there is practically a gif for every emotion/event/feeling out there! I have found that the best and easiest way to find the perfect gif is by using this app Giphy because you can search by topic or by the search bar. You can search any word/feeling/TV show (I love using the Modern Family ones haha!) and then save it to use almost anywhere! Brilliant. The most helpful out of all of the apps I am sharing with you in this post. This app tells you wait times for buses near you or wherever you want, it shows buses available at different bus stops, and it even helps you to plan journeys. It's amazing! I downloaded it after my friend recommended it to me and I use it every time I go on a bus! The best way to follow blogs! As I blogger I love to read other people's blogs as well as writing my own. The way I always read blog posts is through Bloglovin. The app allows you to follow blogs you love to be notified when they post, and also the ability to love and save posts to read later. My blog is also on Bloglovin so it would be amazing to show you support and follow me here. Do you have loads of clothes you no longer want and think you can get money from? Depop is the best place to start up your own shop. My Depop (@bloglilyrose) is where I post any clothing items I no longer want and would love to get a little bit of money for. I also love to buy clothes from other people on Depop because you can grab some real bargains like my pair of black converse for only £15! The app is very easy to use and the payment system is much simpler than Ebay or other online selling sites. I also find that Depop is more focused on beauty and fashion too which is fab! This app is for any lovers of languages or people who like to travel. Many of you may not know this but I'm currently taking A Level French and this is a great app I use to look up words quickly. The app isn't 100% accurate and I still prefer to use a dictionary if I can, but it is more accurate than Google Translate and it is brilliant for looking up things on the go especially if you are travelling. You simply type in or speak into the search area and click translate between two languages. The app also gives you soundclips so you know how to pronounce words or phrases, other ways of saying the word searched, verb conjugations, and a large number of languages are available. The best translation app I have found so far. This is my recent favourite and the one I am most excited to share with you. Flipboard is basically a magazine-style app that allows you to follow topics, magazines and people that interest you, and then the app provides you with news and articles on them topics. I love reading magazine articles and this app provides some that are catered to me - perfect! So far I am impressed with the quality of the app and of the articles provided, and I am shocked by the variety of topics and interests on offer - there is definitely something for everyone! This app is for anyone who loves reading, pinterest, news or magazines! Have you downloaded any of these apps? What were your thoughts?